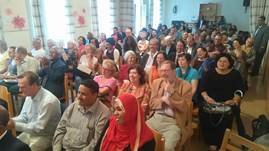 Vienna, July 15th 2017 - 150 guests attended a special event with the title ASMARA – City of Dreams celebrating the listing of the capital of Eritrea as a World Heritage site. This proclamation ends a long-running quest by Eritrean authorities to have the city´s unique architecture, which includes an art-deco bowling alley with colored glass windows and a petrol station built to resemble a soaring aeroplane, recognised by the UN cultural body, UNESCO. 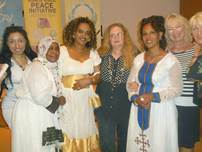 The event was organized by UPF Austria together with the Permanent Mission of Eritrea at the United Nations in Vienna, UNCAV – United Nation Correspondents Association and the „Horn of Africa“ Peace Initiative. Opening the event Peter Haider, President of Universal Peace Federation in Austria, welcomed the guests and gave a briefing focusing on the the role, responsibility and importance of Asmara‘s Inscription onto the UNESCO's World Heritage list and congratulated the Eritrean delegation for this achievement, which is a common victory for Italy/Europe and Eritrea/Africa. In the opening remarks Prof. Habteab Tsege member of the Steering Committee and Head of Mining Eng. 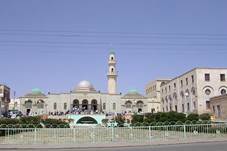 Department at Mai Nefhi College stated that the inscription of Asmara city onto the UNESCO World Heritage list is a symbol of pride and achievement for the Eritrean people and shoulders the responsibility to maintain its status. 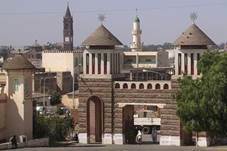 He said, Asmara, the capital city of Eritrea, is a unique and distinct social environment of modernist architectural design realized in an African highland setting. 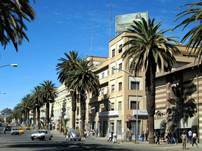 The modernist buildings that make up the World Heritage Site of Asmara were built in late 19th and first half of 20th century - known for its well-preserved buildings of modernist architectural designs, Asmara is the first World Heritage Site to be recognised in Eritrea. 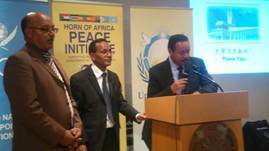 At the end Prof. Habteab Tsege called on participants to work for preserving the strong values of the People and Government of Eritrea, and looking forwards to work together with all the representatives and heads of organisation. Eng. 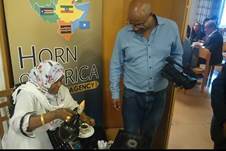 Medhanie Teklemariam, Architect and City planner, who is responsible for the Asmara's World Heritage nomination project explained, why Asmara, the capital of Eritrea should belong to the UNESCO World Heritage. 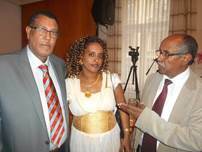 He was accompanied and supported by the Director for City Planning of Asmara, Eng. Tesfalem Woldemichael. 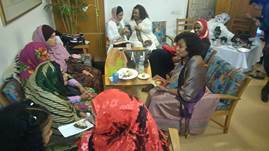 He spoke about the cultural assets rehabilitation project, and the work done with the push of the Eritrean government on self reliance and increasing of capacity on scanning, planning, and digitally scanned the archives which they described as the richest archives they had come across. 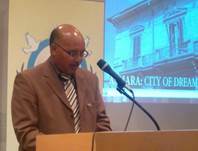 He further explain the process of the Asmara world heritage project and how this would act as a platform for other sites such as Adulis, Quahiyto, Massawa to redress the imbalance created by the failure of international institutions. On the issue of moratorium they explained how the Eritrean government made a halt on building for 20 years to give time to understand it and how the Asmara building heritage and municipality worked to legally protect whilst allowing the city to thrive and develop. 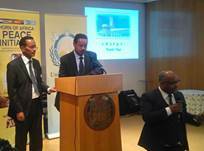 The inscription of Asmara into the World Heritage List is also a symbol of pride for African peoples. What was once an urban-scape of colonial planning that racially segregated Eritreans from their colonizers, it is now a symbol of the decolonization of modernity and heritage, putting indigenous Africans at the center of world heritage while also embodying both colonial and postcolonial African life. 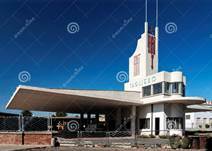 The historical, functional and architectural integrity of Asmara and in particular the subject architectural sites have been well preserved despite the decades of war and upheaval experienced by Eritrea to gain her independence from successive colonisers. It will encourage and increase current Eritrean efforts to restore and maintain these buildings, as well as bring awareness to the world of this African modernist treasure. 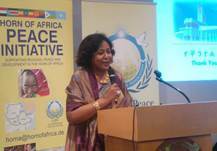 Mrs. Salwa Dallalah, Director of Conference & Document Service at the International Atomic Energy Agency IAEA gave a speech in solidarity with the people of Eritrea and Dr. Gerhard Kiennast, President of Environmental Concepts Exchange Associations E.C.E.E.X.A. 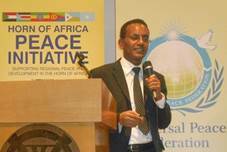 spoke about his recent trip to Eritrea an gave an insight about social and economical developments in the country. The Forum was an important occasion for celebration and harmony, consolidation of African unity, strengthen the African culture and identity, promoting higher mobilization and organization, developing African capacity and ingenuity. On closing remarks Dr. Peter Haider, President of Universal Peace Federation stressed the importance of the forum bringing together people from all fields to address and celebrate Asmara as a new World Heritage site and exploring different opportunities of working together towards a sustainable development process in Eritrea and Africa together with Europe. 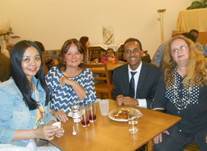 Another unforgettable moment of the event was the Eritrean Buffet which was organized by the Permanent Mission of Eritrea at the United Nations in Vienna in cooperation with the association of Eritreans living in Austria as well as the music performance from the Sudanese cultural group, which sent the crowd wild witnessing the high level of patriotism with a wave of the colourful Eritrean flag. 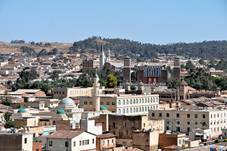 Asmara is an outstanding example of a colonial capital that bears witness to the universal encounter with modernity in the twentieth century and consequent postcolonial experiences. The historic urban landscape embodies in a whole city the unity of innovative urban planning and modernist architecture combined with local natural and cultural conditions. 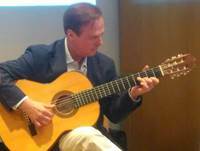 An urban planning process based on functional and racial zoning demonstrates the Italian colonial response from the late-nineteenth century to the challenges of modern urban requirements in a highland African setting. 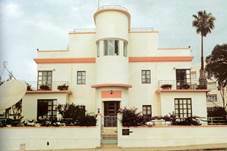 The architectural character exemplifies a period of intense development in the 1930s that coincided with the global proliferation and artistic apogee of pre-war modernism and its various forms. The research challenges conventional perceptions based on universalistic norms, inviting a reassessment of how colonial heritage and modernism are perceived beyond the Eurocentric gaze. 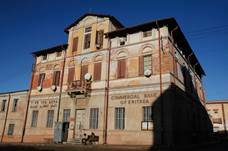 Eritrea’s decision to conserve Asmara’s early colonial era architecture represents a profoundly different attitude towards architectural heritage and its interpretation and treatment compared with many other post-colonial settings. 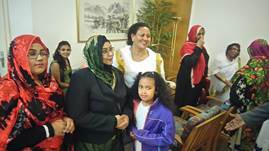 Asmara’s nomination also presents an opportunity to encourage critical reflections on cultural relations and heritage globally, and to promote stability and prosperity locally. 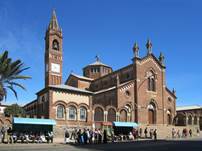 The three main aims of the research are: to implement the necessary measures for managing the conservation of Asmara’s heritage assets; to ensure the city’s successful inscription on the WHL; and to contribute to redressing the comparative under-representation of African and modernist sites on the WHL.